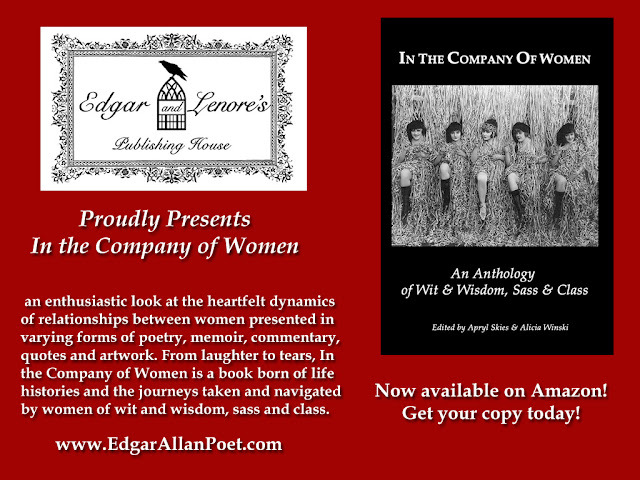 In The Company Of Women NOW Available on Amazon! In celebration of International Women's History Month (March) and National poetry month (April) We cordially invite you to the official & much anticipated Online Book Launch for In the Company of Women; including the work of over 40 talented women from across the globe! This is so exciting for all of us and we know you will enjoy the collection of over 100 carefully selected pieces of literature. Our goals of becoming a best seller on Amazon is only a touch away...by purchasing your copy on the day of release March 14th 2012 you can help! We want to take this opportunity to thank you in advance for your time in reading this and hope you will consider this collection for purchase. You will not be disappointed. 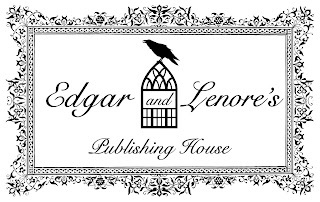 For more info please visit our website: www.EdgarAllanPoet.com! With much love and inspiration! 2. When was the poetic turning point in your life when you began writing poetry more seriously? I had trusted someone I'd known for close to twenty years, when, in the fall of 2009, that trust was deeply betrayed. 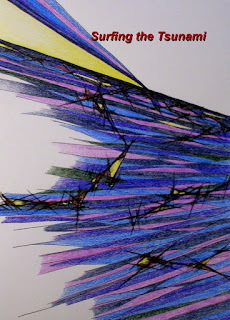 After about 6 months of being so stunned by the betrayal that I was completely creatively blocked, the dam suddenly burst around Easter of 2010, and I began writing poetry prolifically in order to help heal from the trauma of that betrayal. 3. 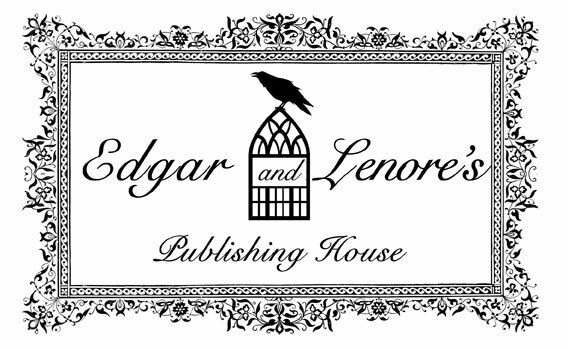 Where can people buy your books? 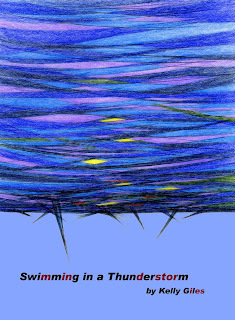 They can find my current collection, "Swimming in a Thunderstorm" on lulu.com for now, at http://www.lulu.com/spotlight/kellyab3. There is a direct link to that site from my writer website, www.kgstoryteller.com, and people can find more recent poems of mine on the writer's blog www.booksbyprescription.com, where I blog as kgstoryteller. 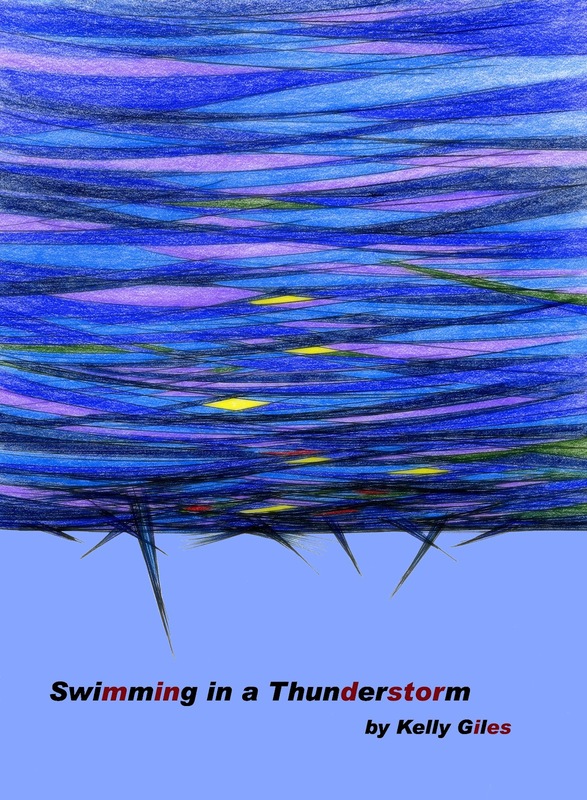 I am hoping to have Swimming in a Thunderstorm available on Amazon as well sometime within the next few weeks. 4. When is the forthcoming sequel hitting the streets? I am hoping to publish the sequel "Surfing the Tsunami" within the next few weeks on lulu as well. 5. What do you want your readers to know about you as a person? Through both my work as an immigration lawyer and through my poetry, I have always strived, in the words of Simone Weil, the French mystic, "be there for others at the supreme moment of their need". That sacrificial love is what makes life worthwhile, but also that when that sacrificial love is abused by power, it can be a painful reminder that before one can truly love others sacrificially, one must love oneself. My poetry is healing poetry. 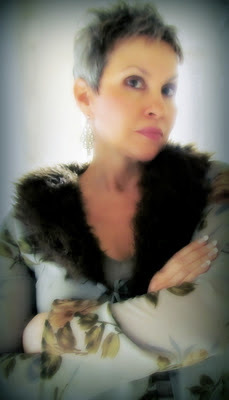 I write, first and foremost, to heal myself from a lifetime of trauma, from the traumas of adoptive abandonment to the traumas of abuse and betrayal, and in doing so, I hope to encourage others to explore their emotional depths as well, for I believe that it is only in diving to the depths of our shadows, that we can find both healing and a deeper purpose for the pain buried beneath the surface. 6. Are you a native to Cali? If not what brought you here? I grew up in British Columbia, Canada, mostly in Victoria. I came to Cali to go to Pepperdine for Law School, which, in retrospect, is just one in a series of places where I seemed to find myself throughout my life as the "Eternal Outsider". For, as Tim Burton once wrote, whenever you've once felt a sense of being an outsider, or disconnected, that feeling never really leaves you. But my follow up to that would be that by embracing that sense of otherness, I believe it's possible to build bridges where none were dreamed possible before. 7. What do find most inspiring about the poetry movement here? I love the incredible diversity, depth of talent, and supportive spirit I've found in the poetry movement here. As someone still quite new to this community, I have found myself greatly encouraged by the openness and support I have received from my fellow poets. 8. Do you plan on reading live anywhere in the near future and if so where can we see you perform? I have been taking a break for the past month or so to attend to a family medical emergency, but hope to return to the open mic circuit some time within the next few weeks. A couple of groups and/or venues I perform with or at most frequently are the Paloma Room Poets (http://www.facebook.com/paloma.poets) and at the Cobalt Cafe (http://www.cobaltcafe.com/) on Tuesday nights. 9. Aside from poetry what are you most passionate about? Aside from poetry, I am most passionate about exploring the universality oftrauma, about exploring the centrality of spirituality and relationships in our quest for wholeness, and about fighting for justice for immigrants in my work as an immigration lawyer. Very early on in my career, one of my Chinese calligrapher clients gave me a beautiful calligraphy scroll on which was expressed the vision that "I would help many people with the power of my words". Having done so for over 20 years as an immigration lawyer, it is now one of my deepest desires to continue doing so from this moment on as a poet as well. Who are some of your favorite poets, why? poems? Some of my favorites include Lao Tzu, Rumi, Kerouac, and Bukowski. Something about the universality and simplicity of each. Bukowski’s “We Ain’t Got Money Honey, but We’ll Always Have the Rain” is one I find myself drawn back to. Julian Beck’s “Revolution and Counterrevolution” is a great one too; I find I enjoy reading it at open mics and readings. I would go crazy. Honestly. If I didn’t write poetry, I’d go crazy. Also, I sometimes feel I have some insightful, or entertaining, or ridiculous thought to share, and depending on how much I elaborate, I have a poem. Besides writing what are some other talents you possess? Breathing. I love breathing. Sometimes, so much so, it upsets my wife. I’m also more athletic than everyone expects. Before I was a poet, I was an athlete. I played sports consistently until the middle of high school. Everything. More specifically: Facial expressions, human bodies, personal and second-hand experiences, memories, thoughts, life lessons, the arts, revolution, and, of course, love and lust and suffering. What else do you enjoy doing when you are not writing? Yoga is a daily practice, as is meditation and pranayama (breathing exercises). I love anything sports, whether it’s playing or spectating. Currently trying to put the plans together for a company I look to start this year; having fun imaging that and putting it down on paper. And the usuals: being around my favorite people; listening to music; drawing with my compass and markers. What modern or contemporary poets do you most admire? Kerouac and Bukowski. Both speak to me on very different planes of existence. I love being caught in between. Poetry, to me, is a vessel for learning, for teaching, for seeing the world in ways that were once unimaginable. I consider myself a poet and a spoken word artist and consider the difference to be much like the difference between theatre and plays; while the quality of one regards what is written, the other regards the work when it is brought to life through voice and action. Tell us about your current efforts in the contemporary poetry movement. What nights do you host? Currently, I am host and producer of Soapbox Sessions, an open mic for all performers every Thursday Night in Los Angeles. The show has been running for 5.5+ years and is going strong. 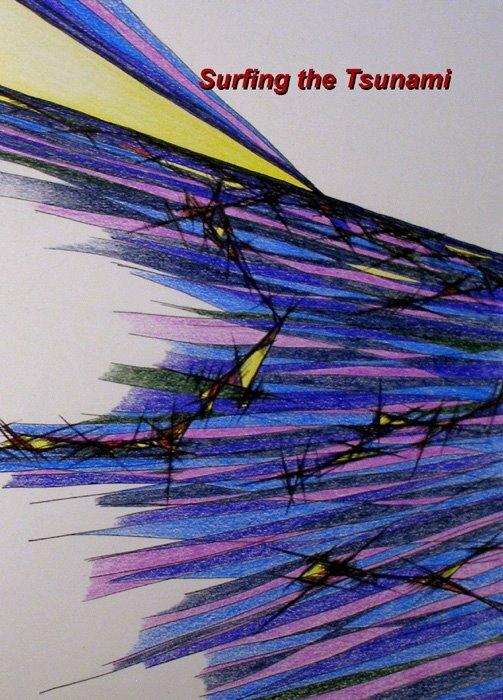 Looking to expand to become a resource for artists. We have recently started a Blog Talk Radio show for performers and artists to call in and discuss current events in the creative community, as well as share their work. We have many things in the works as well, but those will arise as that company I talked about comes further into fruition. Are you happy with the current poetry movement, do you feel poetry is getting the attention it deserves? How do you feel can we improve to promote poetry as a whole? Truth be told, I don’t believe Poetry will ever get the due credit it deserves. Just like many movies, novels, and video games wouldn’t exist without hours upon hours of Dungeons and Dragons, I believe many art works, teachings, plays, etc would not exist without the dedication of our fellow artists, past and present. I think the world wide consciousness and needs to change the way it thinks about ‘poetry’ and realize you can’t go anywhere without finding the styles and effects of poetry; whether it be marketing slogans, dialogue on television, or twitter feeds. What resources advice do you have for other writers. Don’t stop. You have something special to share. Find a local open mic and speak your truth. Big difference between writing and reading aloud, though both you’ll find out are inseparable. Art, photography, playing with words, other great artists, singers, dancers, painters, musicians, poets, all walks of life! 2. Who are some of your favorite writers past or present? Why? Charles Bukowski, Anne Sexton are my 2 favorites. The raw truthfulness of their experience, their bravery inspires me. Pablo Neruda, Henry Miller, too many to name! 3. 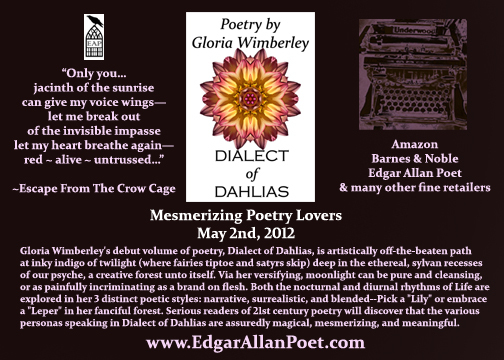 How would you describe your poetry? 4. What is the best advice you have to offer new writers? Be fearless, write from your gut experience & write what you see and feel around you, take it all in, as my teacher Jack Grapes would say "find your deep voice." 5. In regards to your writing, what do you feel are your strengths? weaknesses? Weakness, I don't read or write enough...strength would be I have a good ear and am very musical, I love playing with words! 7. You are a photographer as well. How do these two mediums connect? How are they different? I find poetry in photography & photography or visual images in poetry. They compliment each other. Each is detail oriented, visual, sensual, both are tremendously gratifying...photography has me by the throat right now...and I hope it never lets go! I have great passion for both. 8.What has been the highlight of your writing experience? Being able to perform & read my poetry around Los Angeles, creating my poetry website The Juice Bar and studying with my writing teacher Jack Grapes and the people in my class are priceless! 9. What goals do you have for the future? I need to get more books going...self publish or be published. 10. You have a book coming out, Whores Don't Kiss, Please tell us a little about this? 11. Where can we read more of your work? See you perform? You can always read my work on The Juice Bar http:lkthayer.wordpress.com/and I will be reading Jan. 14th with "Poetry In Motion" at Beyond Baroque...I'm reading this Friday night with "Girls Just Wanna Write Poems", me, Eve Brandstein & Susan Hayden, great poets, but I have to look up where! !